Exclusive interview for SPINOFF.COM with Yotam Alroy, Founder and Chief Business Officer at Mindspace, the global provider of fully serviced, all-inclusive, and bespoke working environments to SMBs and enterprises with a proven track record of fitting Fortune 500 companies. SOC: Dear Mr. Alroy, thank you very much for dedicating your time to this interview. Every day we receive many requests from the spinoff founders about the right place to set up their business. 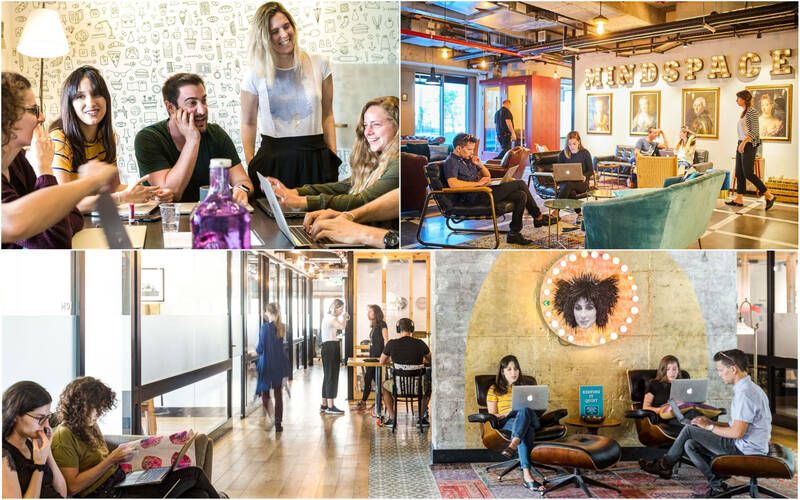 Finally, we are happy to provide them with the information about the brand number one in the coworking space with the global presence such as Mindspace, where the spinoff/startup founders find comfort and mutual support for their growing businesses. We would like to start with the overview of your company. Could you please describe the services that the company provides in more details? Mr. Alroy: With pleasure. 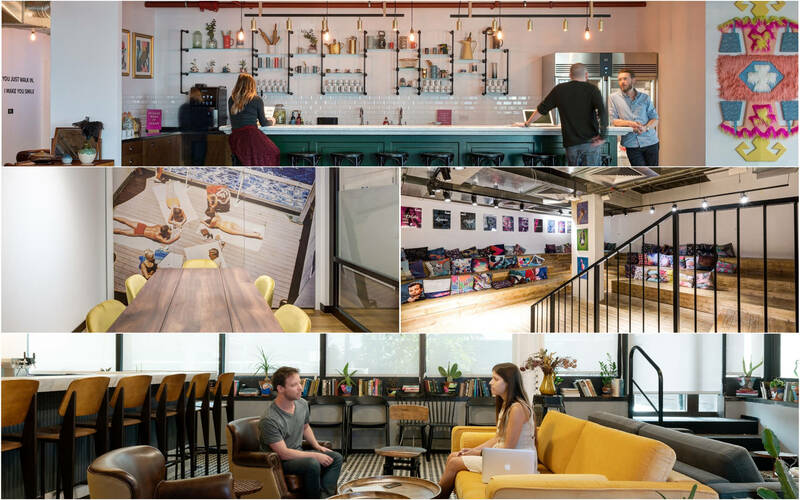 We're a global provider of high-end coworking space, designed to serve the growing needs of the world’s leading SMBs, startups and enterprises. Our aim is to create something that goes beyond your everyday coworking space and to be different to other providers. We provide a boutique product that is bringing something new to the international coworking market. Our locations include private offices, suites, open spaces and hotdesks which offer countless opportunities of a modern working surrounding to companies of all sizes. Due to our size, we have the chance to give entrepreneurs the opportunity to scale their business and expand their teams according to their needs. SOC: We see lots of possibilities for spinoffs/startups. Who are welcome to the Mindspace? What is your mapping? Is there any privilege for specific industries or countries or maybe you have other criteria for clients selection? Maybe you can provide some names or examples of the companies that you work with. Mr. Alroy: We've had a wide variety of verticals become Mindspace members globally, from Artificial Intelligence development teams of Booking.com to BioMed startups such as RightAngled. We try to have a mix of verticals, as well as a mix of startups and enterprises - to maximize the networking and collaboration opportunities. Among our global community members, we have companies like Expedia, Microsoft, Barclays, Yahoo!, Spotfiy, Samsung and many more. We currently operate spaces in 7 countries in prime locations across major world cities in the U.S., U.K., Germany, Netherlands, Poland, Romania, and Israel. SOC: As you know the core of SPINOFF.COM's activity is a collaboration with early-stage science startups called spinoffs. They have certain peculiarities as they used to work in the comfortable environment of the global hubs of innovation, such as, for example, top universities and not only. Leaving this comfort zone may negatively affect the further positive development of their business. Could you please describe how your company might be helpful in this regard? What are the main benefits that the clients may obtain with Mindspace? Mr. Alroy: 93% of our members globally say that the Mindspace network directly benefits their business. So this unique mix of being able to collaborate and network with a wide variety of companies of all sizes, tends to pay dividends for our members and help unlock growth opportunities. Further, our spaces help foster and cultivate a unique culture - we have a rich calendar of events such as wellness events, workshops, speakers, and happy hours, that allow members to become further enriched and inspired. Research has shown that startups and entrepreneurs are searching for workspaces that deliver: inspiration, the ability to learn skills, form meaningful connections to help their businesses and to feel in control. These are fundamental benefits that Mindspace delivers to these businesses. Often, we have companies coming to us and housing their innovation teams at Mindspace, to disrupt the normal ways of thinking - and teams often reach their projects goals substantially quicker. SOC: That’s not a secret that spinoff/startup founders don't have enough experience in starting the company and they might feel vague at some stages. Taking into account your vast experience which adviсes and warnings you might give them in the sphere of your activity? What mistakes may they avoid cooperating with Mindspace? Mr. Alroy: Definitely to take advantage of the rich event calendar - everything from happy hours to workshops, to wellness programs. Also to get to know our community managers very well. They're made many key introductions between our community members, which have helped unlock new partnerships, and new business opportunities. So definitely to jump into it head first, and take advantage of everything that space and the experience have to offer. SOC: What are the main steps a startup/spinoff founder needs to take to use your services? Mr. Alroy: It's quite simple. We offer a flexible month-to-month membership which makes it easier to commit when compared to a traditional lease. A startup/spinoff Founder would simply need to reach out to one of our community managers to schedule a tour/meeting. We have a seamless membership sign-up process. SOC: Money is a critical issue for the rising companies. Spinoff founders take into consideration all the expenses. One of the expected questions from them is the cost of your services and whether they will receive a certain discount or certain financial gain from your company and under which terms? Mr. Alroy: As I've already mentioned almost 93% of our members globally indicate that the networking alone at Mindspace benefits their business. Additionally, working out of a Mindspace, with its flexible monthly membership, often proves more economical than working out of a traditional lease office space, taking away all of a headache and overhead costs. We've had companies save anywhere from 20-40% vs. a traditional office space. Additionally, SPINOFF.COM members get an exclusive 10% discount as part of a special partnership between SPINOFF.COM and Mindspace (see the special Partnership Proposal at the bottom). SOC: Thank you, Mr. Alroy, that's certainly a great reward! We would like to express gratitude for the time you have dedicated to this interview. SPINOFF.COM is happy to have such professional and experienced partner among our Syndicates. We are pleased to introduce Mindspace to the spinoff founders, entrepreneurs and professional business community worldwide. Looking forward to further beneficial cooperation for the benefit of science spinoffs and young companies’ development!